This is what I’m talking about! 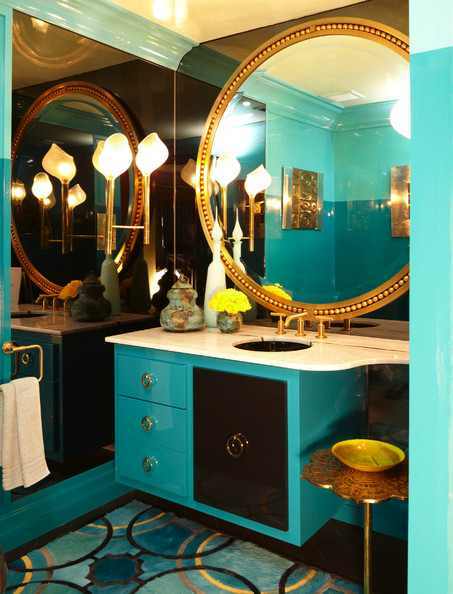 Go bold and daring for powder rooms. Love the colors, walls and that giant mirror.